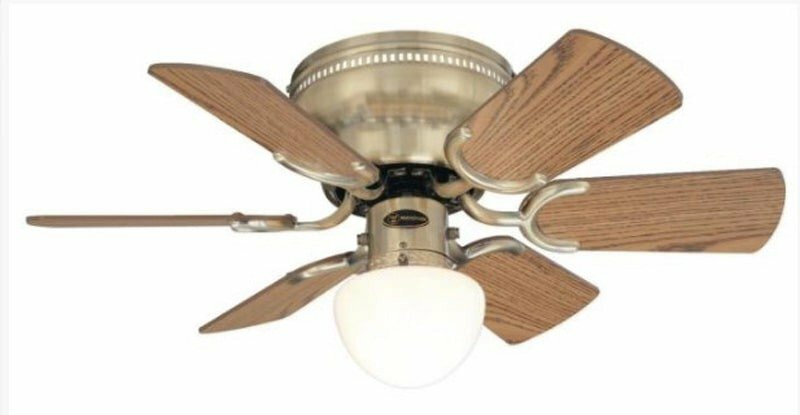 DIMENSIONS: 12" from Ceiling to Bottom of Light; Weight 10.36 lbs. 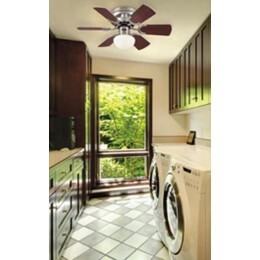 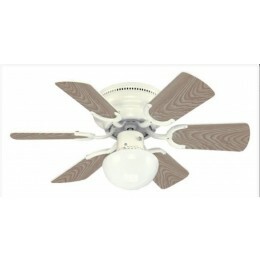 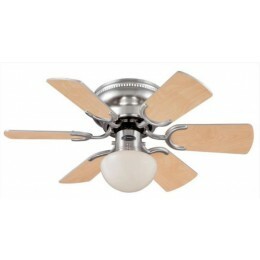 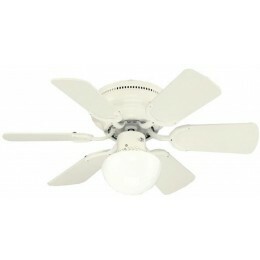 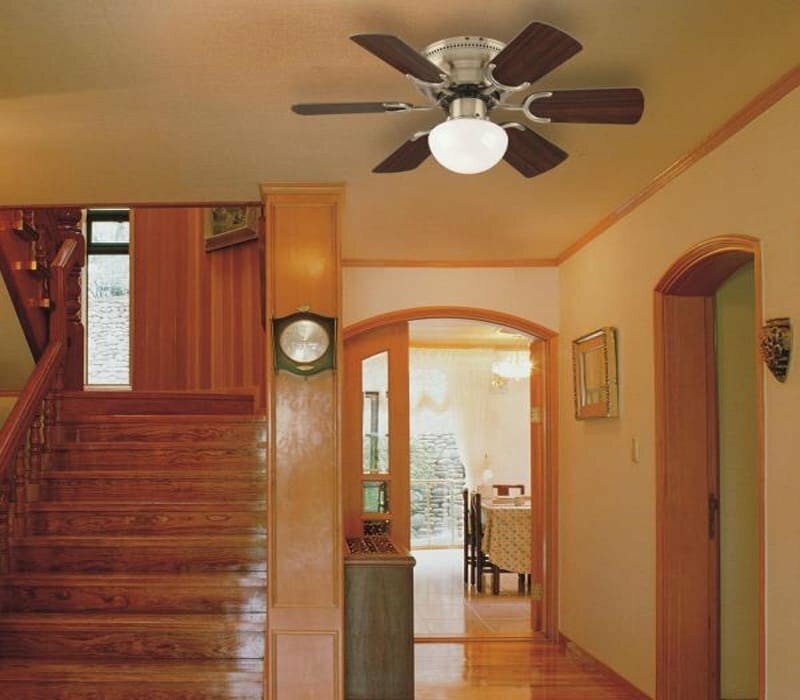 Add the Petite indoor fan to any room and enjoy its classic design details and year-round comfort. 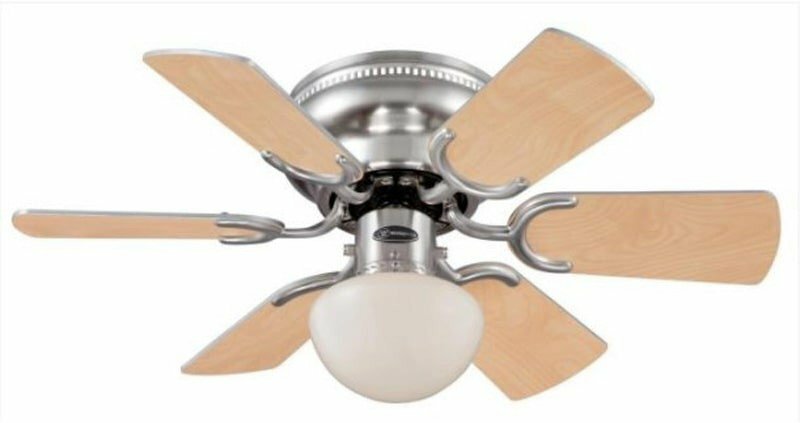 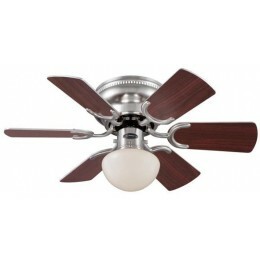 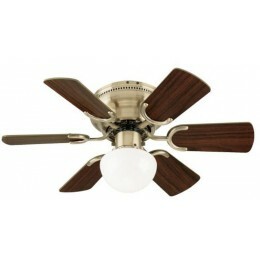 The lovely combination of brushed nickel finish, rosewood and light maple blades, will blend well in any decor, from a small kitchen to a child's bedroom. 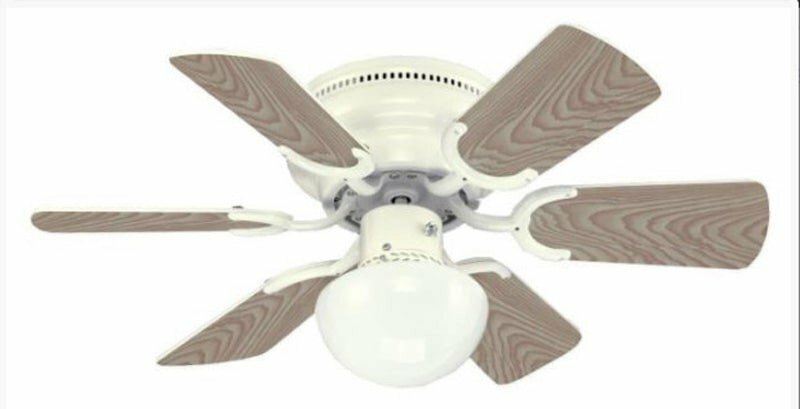 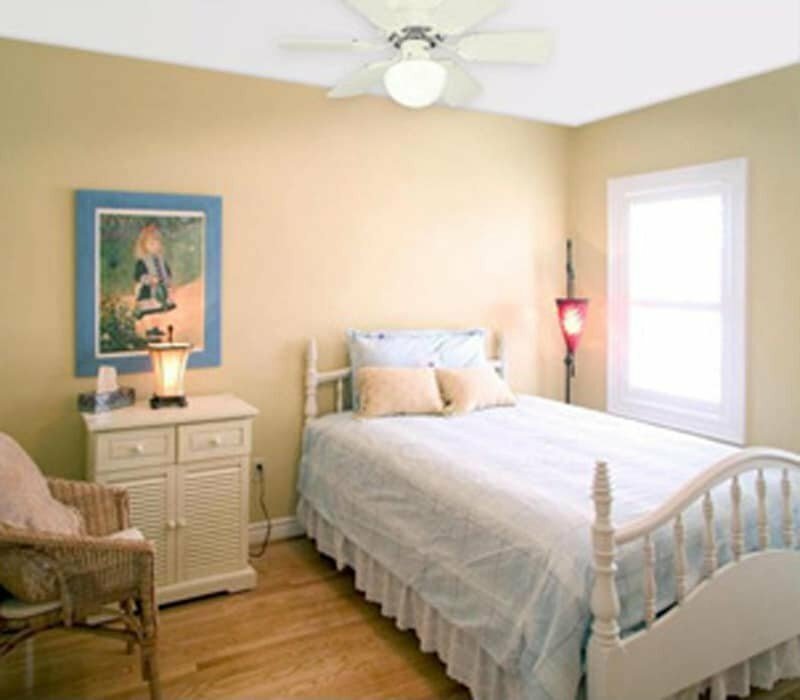 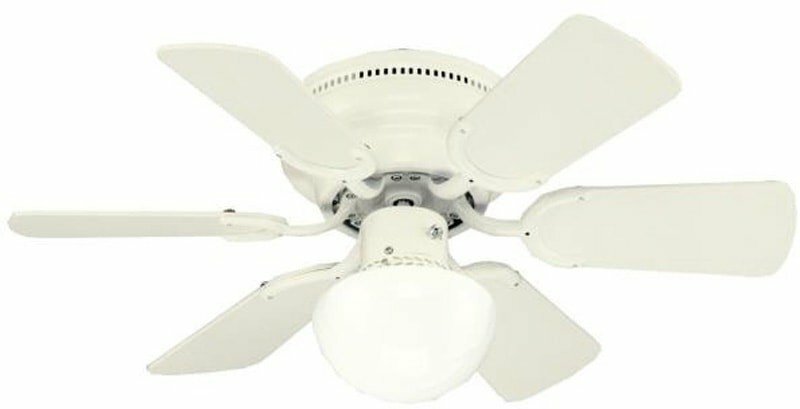 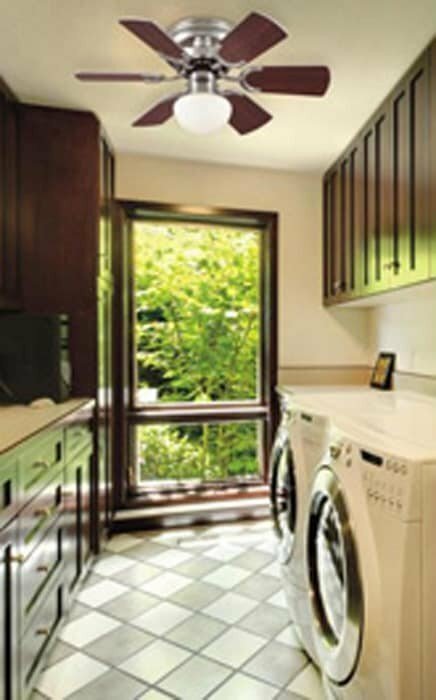 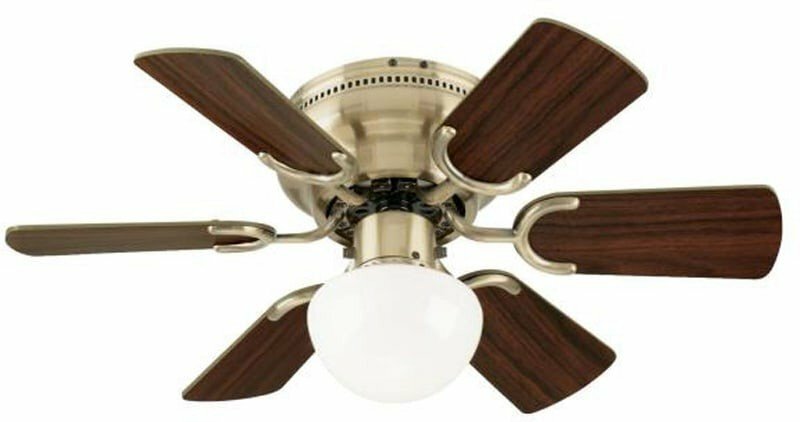 The mushroom light kit with opal glass enhances the ceiling fan's function and style, providing beautiful illumination. 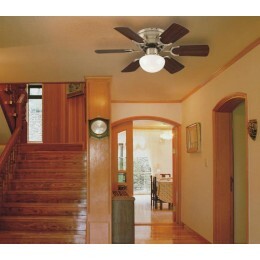 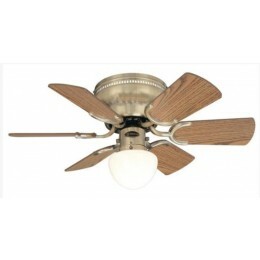 This small fan offers big power in a petite package and includes a candelabra base, 60-watt G16-1/2 light bulb. 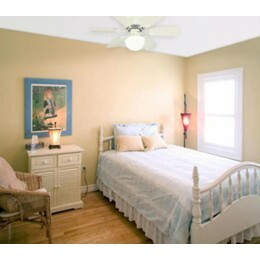 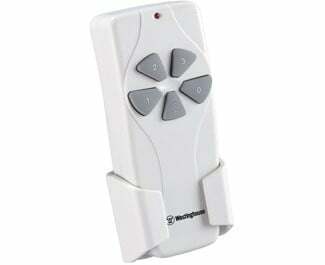 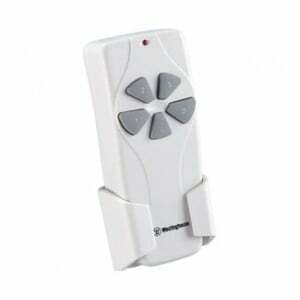 Its hugger mount style is perfect for small rooms with low ceilings.